Amsterdam, 15th of January 2019. In the fourth quarter of 2018 Fastned’s growth strongly accelerated. In the last three months of the year Fastned delivered more electricity than throughout the whole of 2017. 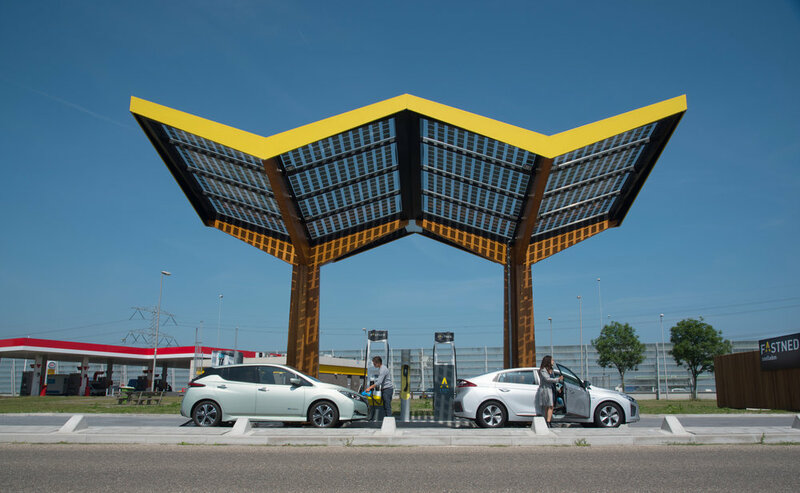 Thanks to timely investments in grid connections and stations Fastned was well prepared for the rapid increase in the number of electric cars visiting its stations. With popular EVs like the Jaguar I-PACE and the Tesla Model 3 entering the market Fastned expects further growth in the demand for fast charging in 2019. 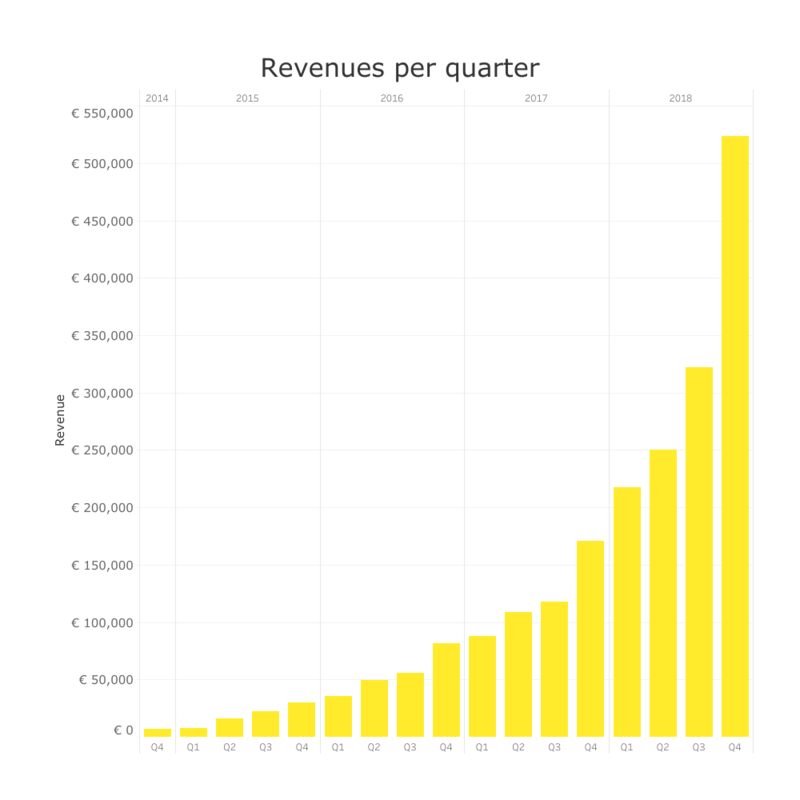 Fastned continued to grow faster than the market. The number of EVs doubled, while Fastned’s volume tripled. Customers completed 30,586 charging sessions at Fastned in December. Fastned raised more than 11 million euros with the issue of bonds at the end of October. Fastned opened its first fast charging station at a supermarket of Albert Heijn in The Netherlands. Fastned opened 6 stations in Germany last quarter. In total there are now 8 stations operational in Germany. A lot of preparations have been made for the construction of a series of fast charging stations in the Netherlands, Germany and the UK in the first half of 2019. Due to the increasing demand for fast-charging, Fastned has started adding additional fast chargers to its stations to expand capacity. Fastned had 85 stations operational by the end of December. At 23 of these stations EVs can be charged with a maximum of 175 kW, while they are prepared for 350 kW charging. Charging at 350 kW will eventually be possible on most Fastned stations. This is up to 100 times faster than at home. Please note that the numbers above are unaudited. Audited annual figures will be published in April. For more information please visit www.fastnedcharging.com or check out our pressroom. In the presskit you can download more HR pictures of the Fastned stations. Fastned is a charging company that is building a European network of fast charging stations where all electric cars can charge as fast as possible. The stations are located at high traffic locations along the highways and in cities, where electric cars charge in an average of about 20 minutes. This will give electric cars the freedom to drive across Europe. As of today, Fastned has 95 stations operational in the Netherlands and Germany and is working on expanding its fast charging network to the rest of Europe. Fastned is simultaneously building fast charging stations in the Netherlands, Germany and the United Kingdom and is preparing for expansion in Belgium, Switzerland and France.